Vincent Janssen will spend the season on loan at Fenerbahce following the arrival of Fernando Llorente at Tottenham, reports the Guardian. The Dutchman had a difficult first season at White Hart Lane after moving from AZ Alkmaar, scoring just twice from open play in all competitions. Mauricio Pochettino suggested he was still in his plans in his Thursday press conference, despite leaving him out of his Champions League squad. 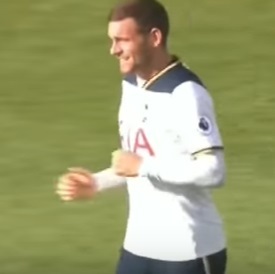 Spanish international Llorente will now provide back-up to Harry Kane, with Janssen heading to Turkey. The forward had previously turned down the chance to join Brighton and Hove Albion on loan, but it seems he has now relented, with the Turkish transfer window open longer than the English one. He will join former Tottenham striker Roberto Soldado at the Şükrü Saracoğlu Stadium. It remains to be seen if there’s any way back for him if he has a successful stint away from north London, but he has a lot to do if he is to win Pochettino round.